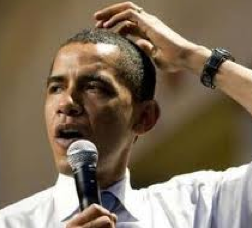 There is one word to describe Obama’s foreign policy, incomprehensible. No one can truly make sense of this policy other than to say, if it is the wrong move, it will be done. Case in point, Libya. Obama procrastinated when Gaddafi was on the rope and this delay allowed the Libyan dictator to regroup and consolidate his advantages over the Rebel forces. When Obama decided to intervene, he gave the leadership role to France and Great Britain and lead from behind; allowing a stalemate to occur. The only advantage that the NATO has is simply Gaddafi does not have the resources to maintain his present advantages and there are very few countries willing to rearm him. If a deal could be struck for Gaddafi to leave; I would suspect that he would take it. The major issue now is the NATO alliances are starting to fracture as Italy is ready to negotiate, allowing Gaddafi to stay in power and the other nations have to be asking, is this really worth it? What Obama has done is put the prestige of NATO and the United States on the line without any real objectives established, no end game in sight for the near future. Unless Gaddafi is removed from power, this will be considered a loss for the West. Obama's arrogance has managed to create a bipartisan foreign policy with members of both Parties willing to find him in violation of the War Power Act, an act that both Democratic and Republican Presidents have considered unconstitutional. As Charles Krauthammer noted in a recent column, the difference between Obama and both Bush's, is that the Bush's asked for authorization to use force before engaging American troops. Obama has not only bothered not to ask Congress, but has essentially given Congress the middle finger; which is why Obama has failed to garner Republican support for his war. At the beginning of the crisis, there were Republicans willing to support his effort in Libya but his inability to explain why this is in our national interest, his willingness to seek UN approval while ignoring Congress and the complete incompetence in how this military action has been conducted has eroded both trust and support. His most recent speech on Afghanistan has further eroded national support as he is once again sending mixed messages to the American people. The support for Afghanistan has slipped since Obama has become President and while one can conclude that this is due to war weariness on behalf of the American people, another factor is Obama's lack of explanation for his own policy. In 2008, Afghanistan was the good war, the war in which recourses were pulled because of Iraq, but in 2009, it ceased to be the good war among Democrats who were looking for an exit immediately. Obama himself probably found the war a distraction from rebuilding America in his own image, but he certainly did not want to be the President who lost a war. So he procrastinated before making a decision and then began the surge while simultaneously calling for withdrawal; first in 2011 and then in 2014. The message sent to many Americans is Obama is already looking for a way out but only after 2012. How can the American people support a war in which the Commander-in-Chief is not totally sold on? The recent announcement of the pull back of troops only reinforces in the minds of many Americans Obama's lack of commitment. If Obama is not willing to expend political capital, why should the American people be willing to support the war and allow their loved ones to stay in harm's way. The only successful foreign policy movement, the murder of Osama Bin Laden, has simply reinforced in the minds of many Americans, it is time to come home. Obama's lack of a defined end game and what victory means has only eroded support for much of his policy. Obama's foreign policy is contradictions upon contradictions with no defined Obama doctrine worth speaking of or defending. It is a policy that sees the United States undermine allies including Poland, Czech Republic, Great Britain, and Israel and a policy that has seen to the appeasement of enemies and rivals. Russia has been better treated than Great Britain and Israel and his policy in the Middle East is a riddle looking for answer. The Arab Spring in Egypt is turning into an Arab nightmare as the Muslim Brotherhood is getting ready to take power in Egypt; thus disrupting the balance of power further against the West. The Iranian street rebellion was met with indifference along with the present rebellion in Syria. Israel is pressured to make deals with people who seek the country's destruction and our Allies are left hanging in Libya while we lead from behind. Obama's foreign policy is incomprehensible simply because it makes no sense. Enemies are treated as friends and no worse, acquaintances and Allies are shunned. We support combat in the Middle East without any real understanding of how the pieces fit into the war on terror and Obama ignores seeking Congressional support but seeks UN approval and NATO approval for actions requiring our military aid. It is a policy that is all over the map with no clear defining message other than the United States is just another nation and we must subject ourselves to others as opposed to taking the lead. The result has been chaos and anarchy without the steady hand of American leadership. Obama's foreign policy is a failure, ready to turn into a disaster. It is incomprehensible. Like anyone would listen to a Texan on world affairs? Hello? Halliburton and KBR? WTF - Total scum.